Jumpers are more than just fun – they’re safe! 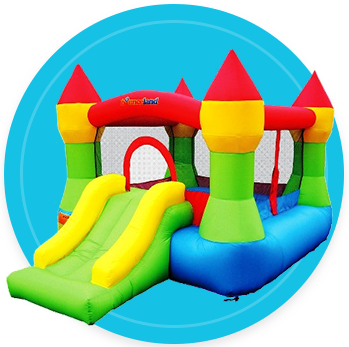 At Fun4Fun Party Rentals there is no hidden cost for our bounce houses. Our jumpers are clean, safe, and fun! We have jumpers for girls, jumpers for boys, and jumpers for everyone; our variety of jumpers pleases children of all ages. 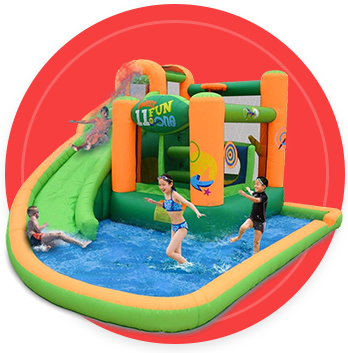 Not only does a rental bounce house bring an amusement park of fun to your backyard, they help your little ones build their motor skills and coordination while they play. Jumpers aren’t just for kids. They’re fun for everyone. Ask about booking one for your next event! 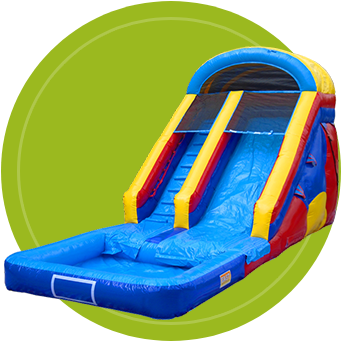 Rentals start at $105 for a full day’s worth of fun and are the perfect way to bring excitement and amusement to your child’s party.